Born and raised in rural Iowa, I now live and ride in Washington, D.C. I learned to ride growing up, but stopped after college. I took up bike riding again in 2004, and now my bike is my primary form of transportation, and I also enjoy bike touring and randonneuring. You have a blog: http://chasingmailboxes.com/. What inspired you to start blogging about your bike riding adventures? 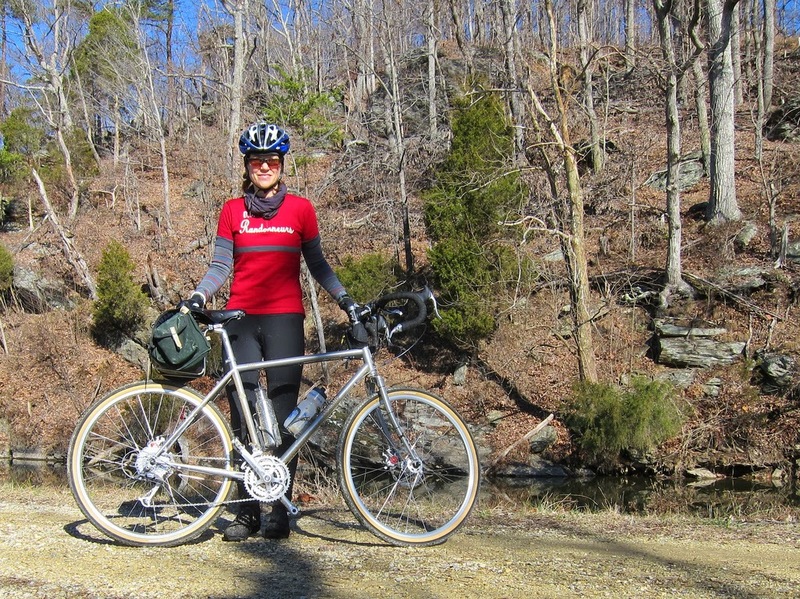 I initially dabbled in blogging on my husband’s blog, The Daily Randonneur (http://thedailyrandonneur.wordpress.com/). The stories I wrote on The Daily Randonneur were primarily about randonneuring (timed long-distance cycling where courses range from 200K to 1200K in distance). I liked that, but wanted my own space to write and I also wanted to explore other bike-centric themes, like bike commuting in Washington, D.C., and the bike touring we like to do. What have been some interesting things that have happened since you started blogging? Through Chasing Mailboxes I have connected with people in ways I never imagined. I’ve become much closer to the #bikeDC community through my writing and bicycling. I have shown up to randonneuring events and met people who read my blog, and I have also met other bloggers whose writing I like. It’s such a cool feeling to connect in person with others who you have only known in a disembodied way. I also run bike challenges through the blog. These include Coffeeneuring http://chasingmailboxes.com/2013/09/30/third-annual-chasing-mailboxes-coffeeneuring-challenge/ -- a fall challenge where participants ride their bikes to 7 different cups of coffee over a set time frame, and the Errandonnee http://chasingmailboxes.com/2014/03/04/winter-challenge-the-errandonnee-2014-edition/ -- a utility/transportation cycling challenge done in the winter where people complete 12 different errands in 12 days. I’ve been amazed by the participation in these challenges, and the positive feedback about Coffeeneuring and the Errandonnee. People are inspired to ride their bikes, connect to each other’s bicycling and blogs through these challenges, and we are all given a small window into what cycling is like for people in their communities. 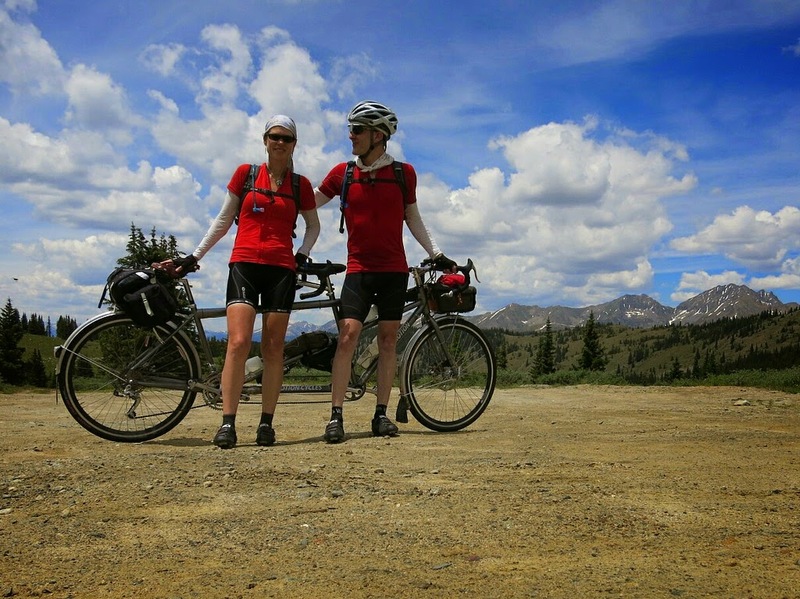 A few weeks ago my husband and I were bike touring in Colorado and I wrote about our day going over Wolf Creek Pass http://chasingmailboxes.com/2014/07/12/wolf-creek-pass-i-think-i-love-you/ . A reader commented that he had driven past us as we were climbing it. What are the odds? It’s exciting to discover that people are reading and connecting to what you’re writing about. Why do you enjoy using social media to show various aspects of cycling? U-Turns across one of our main commute routes on Pennsylvania Avenue. #BikeDC saying that we’d all be meeting for coffee on Friday morning. meetups, and it has a steady group of attendees. other because of Friday Coffee Club, and it all grew out of Twitter. everyday act of riding a bicycle. What do you feel prevents women from getting involved with bike riding? I actually am not sure. I was hesitant to start again as an adult because I did not have a good sense of how my bicycle worked and what I needed to do to maintain it. I also was not sure where there were safe spaces to ride in the city. Through running, I learned about our path system and more about the city streets around me. I ultimately decided to pump up my tires and ride. It also helped that I was riding in D.C. and if I experienced a mechanical that I could not fix on my own, I always had the Metro as a bailout option. What would you say to encourage others to give it a shot? Don’t over-think it. Try to pre-plan a good route, make sure you have a bike that is in good repair, and go ride your bike. Despite all the marketing to the contrary, one of the great joys of bicycling is that it is a simple activity. That simplicity makes it beautiful. I love to run, too, and have finished 12 marathons. While bicycling is often social for me, running is my meditation. The ability to engage in both activities on a regular basis is bliss. Hi Rebecca, I named it Chasing Mailboxes after experiencing several instances where I thought I saw a rider up ahead of me during a bike ride, only to realize as I approached that I had been chasing a mailbox. That image seemed to suit a cycling blog. I also felt like naming the blog Chasing Mailboxes allowed it to expand beyond cycling, and the title serves me in a figurative sense, I often feel like I'm going after something (a goal or other pursuit) only to realize as I get closer to it that it's not what I originally imagined it to be.